Drainage engineers from Lanes Group plc have been praised for their fast response to help clear water pumps supporting the drainage system of a major road tunnel. Highways England called for assistance from the team at Lanes Plymouth to vacuum water from a sump containing drainage pumps at the Saltash Tunnel. The pumps were at risk of failing due to a blockage caused by a build-up of debris washed off the busy A38 dual carriageway which runs through the tunnel. The depot received the call at 2pm and jet vac operators Brendan Parsons and Ben Parry were on site at 7pm, with Ben coming off a day’s holiday to assist Highways England. 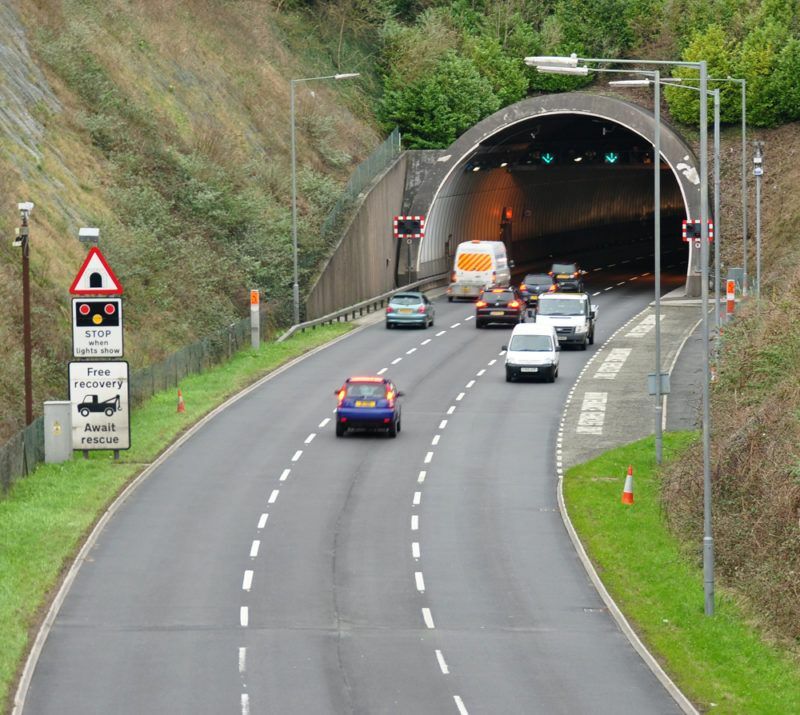 Julian Mitchell, Service Manager for Tunnels and Structures for South West Highways England, said: “The Lanes operatives were very helpful, professional and safety-conscious throughout. “The fact that a member of the team came in on his holiday speaks volumes about his commitment in assisting us with this important maintenance work . Brendan and Ben used their recycler jet vac tanker to remove an estimated 30,000 litres of wastewater that had built up inside the 55,000-litre cylindrical sump which was 12 metres long and four metres high. used to separate solids – including silt, vegetation and litter debris – from the wastewater. This allowed the water to be overpumped into a foul sewer connected with the highway drainage system. It was found that a two-metre section of the outlet pipe from the pump had become blocked with litter and debris, including bottles, plastic, and food packaging. Once the pipe was water jetted and the debris was vacuumed up, a highways maintenance engineer made a confined space entry into the tank to ensure the pump was not damaged. The four-hour tank cleaning and pump maintenance operation was completed at 11pm. Lanes took the silt and debris for safe disposal at an authorised waste site. Jason Webster, Area Development Manager for Lanes Plymouth, said: “We have the capacity and capability to respond rapidly to reactive service calls. As demonstrated, we also have the will to help. The Saltash Tunnel is in Saltash, Cornwall, close to the west bank of the River Tamar, which divides Cornwall and Devon. It was opened in 1988, is 410 metres long, and is used by more than 38,000 motorists a day.